I love visiting Monasteries and have been fortunate enough to see quite a few of them in Himachal Pradesh and off course in Ladakh. 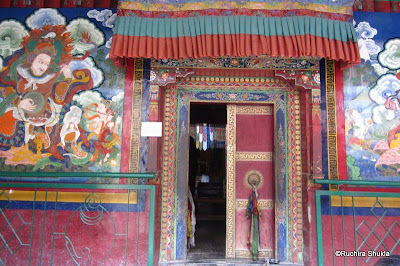 The biggest difference between the Monasteries in both these places is that the ones in Himachal are all bright and vibrant colors. 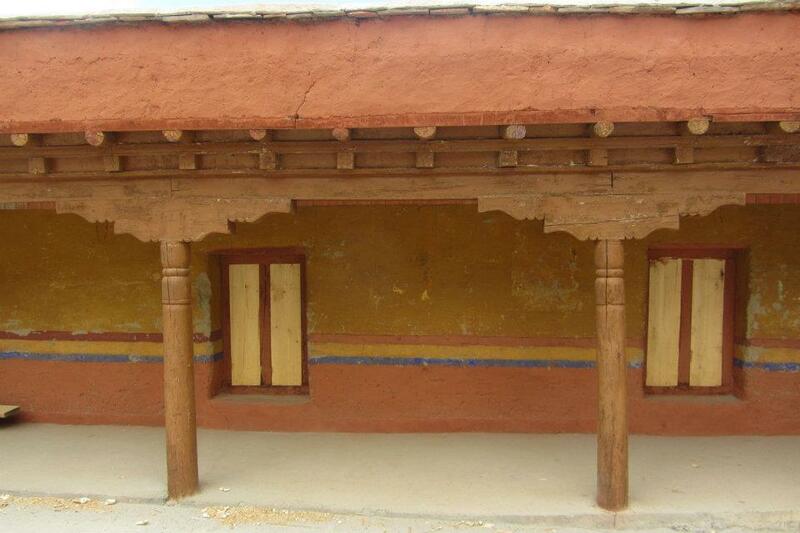 On the other hand most of the Monasteries in Ladakh are rather austere. The terrain is totally different too. Himachal Pradesh, though at a very high altitude is very green. The Himalayas there look very friendly and benign. Ladakh on the other hand is nothing but barren landscape and black jagged sharp edged mountains that look rather menacing ! We started off with the Lamayuru Monastry near Alchi. 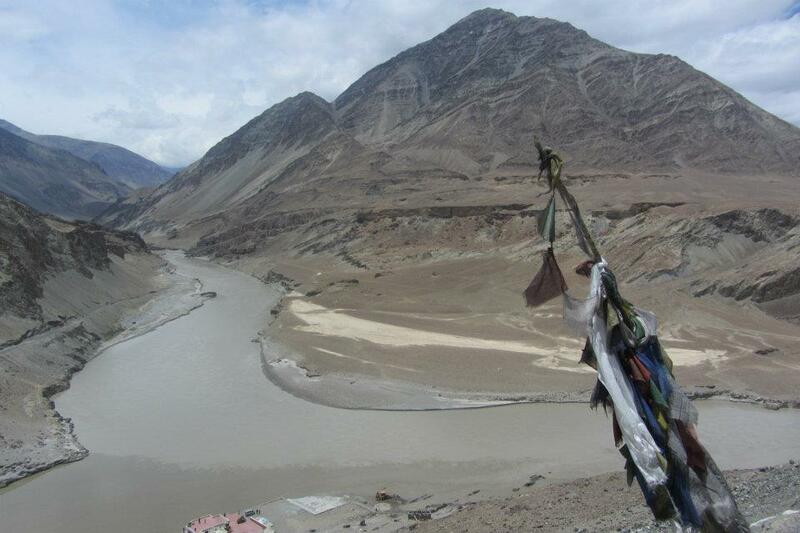 To reach Alchi, we passed the Confluence of the Indus and Zanskar river. A prayer flag flutters over the confluence of the Indus and the Zangskar river - The dark muddy one is the Indus and the one in lighter shade is the Zangskar. You can clearly see the confluence. 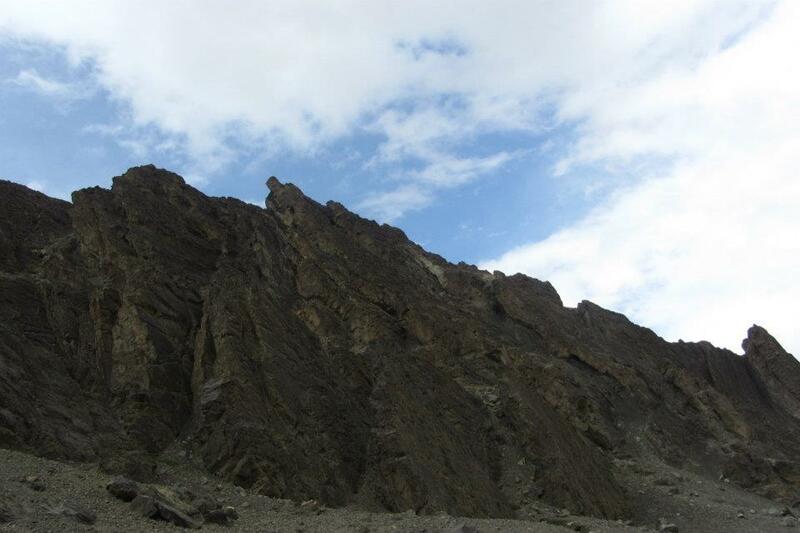 Lamayuru is supposed to be near what was a glacial lake centuries ago. The Lansdscape there is Known as the Moon Landscape. When You see it, you do get an impression that you are not standing on Planet earth but have been taken to another planet.The landscape is eerily like that of the surface of the Moon. It has a beauty and grandeur of it own. The landscape continued to be brown and muddy with no sign of greenery. 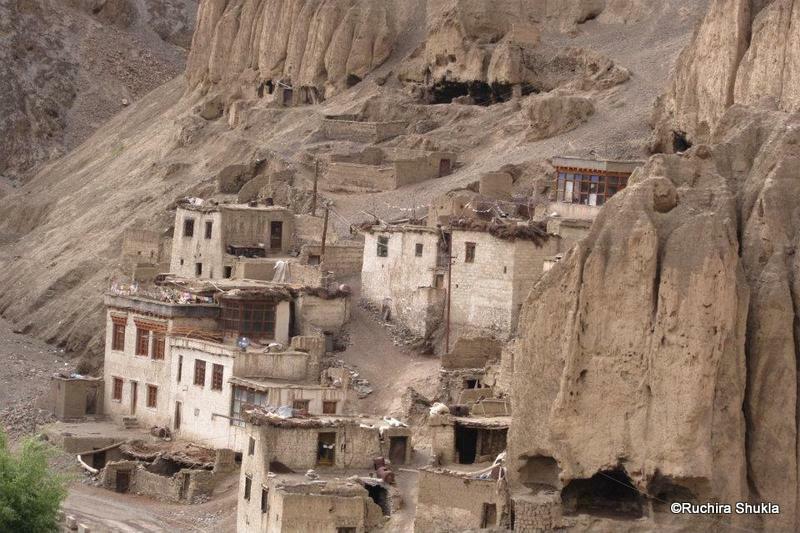 A few houses clung precariously to the side of the mountain. 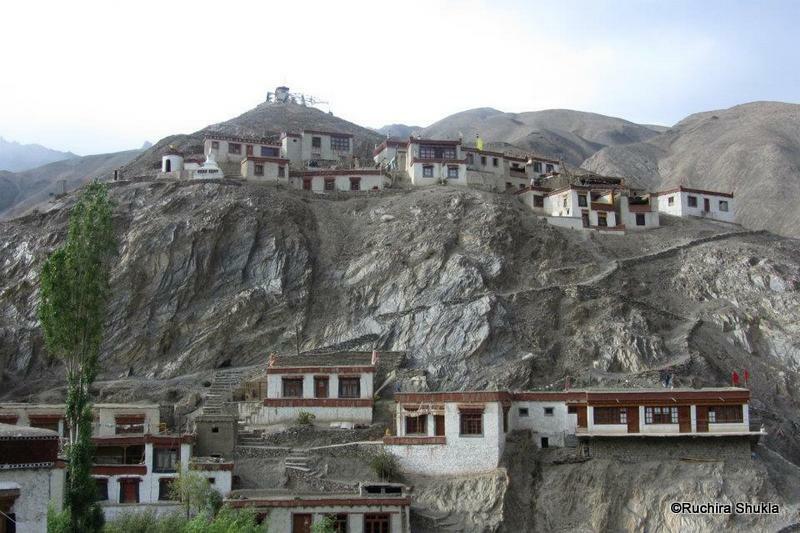 The Lamayuru Monastery signified everything Ascetic and Austere. The young lamas added some color and cheer ! 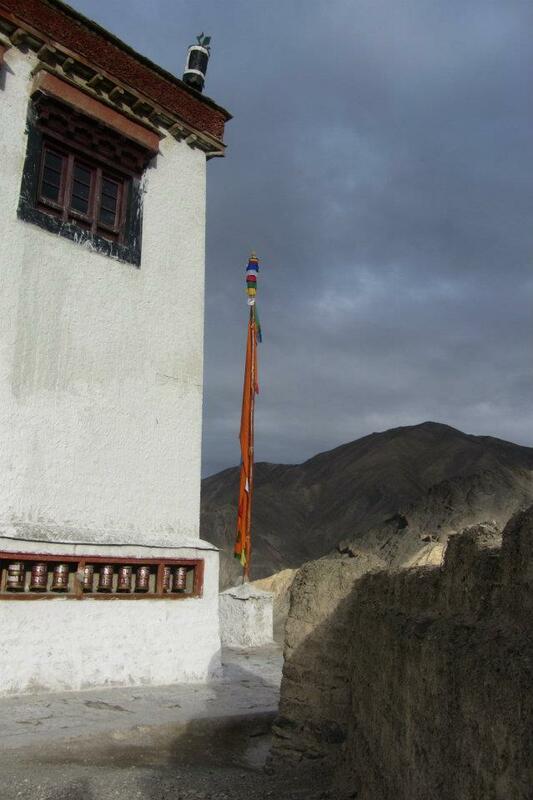 The Meditation Chamber for the monks - It stands alone symbolizing abstinence and solitude. 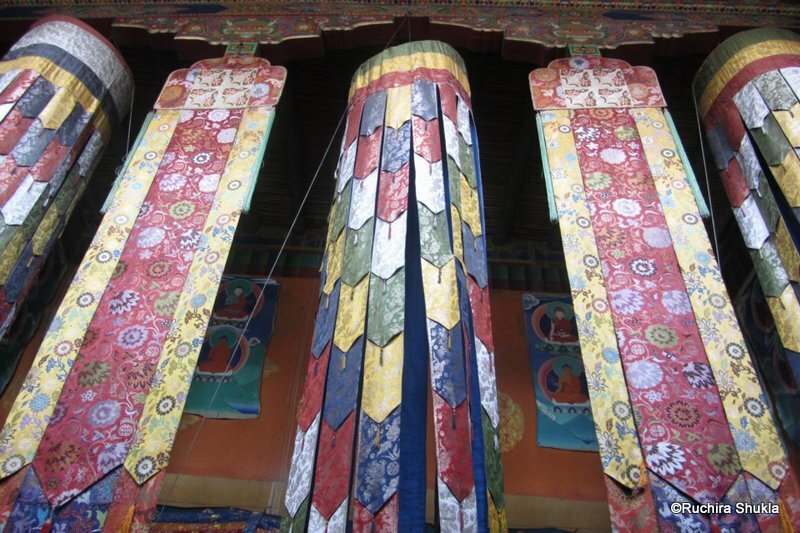 The inside of the Monastery was bright and colorful, contradicting sharply with the drabness outside ! The next Monastery we visited was the Likir Monastery. On our way, we saw prayer flags everywhere. Guiding and protecting us on our Journey ! The Likir Monastery, as compared to Lamayuru was a little more colorful ! I loved the windows and the corridors ! The windows in the above corridor opened to a magnificent view ! The colorful drums inside the prayer room ! 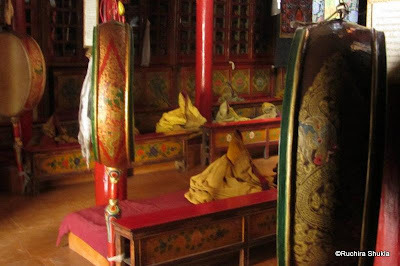 The yellow robes are worn by the monks and they leave them behind after they finish their prayers. It seems as if the robes are guarding their places ! 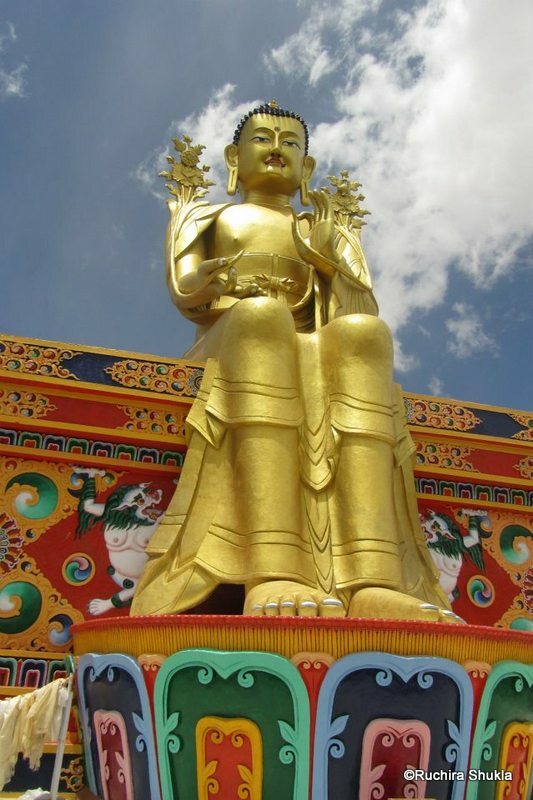 The Likir Monastery is most famous for the 23 meter high gilded gold statue of Maitreya or the Future Buddha. Grand shots! Good they allow photography. The monastery here in Coorg too is a great piece of architecture. Yes they do. Glad you liked them ! This looks so great! The pictures clicked are beautiful and so is the story accompanying it. 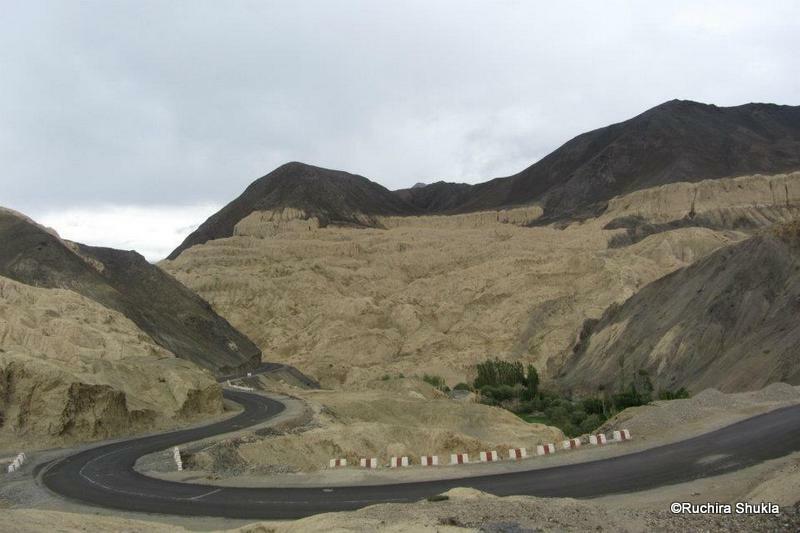 I am so looking forward to my Leh visit this summer and these pictures make me even more excited! You would love Leh ! Its an enchanting Land ! 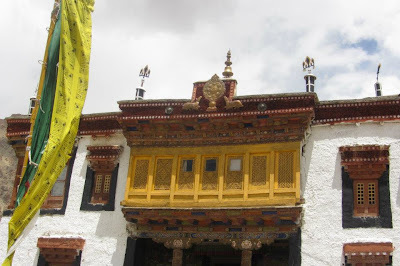 Fantastic pictures....the monasteries are always fascinating..have been to those in Sikkim, Nepal, Hong Kong and Bhutan. The prayer flags are such a lovely reminder that God is all around. Thank you Corinne ! Yes the Prayer do make us feel as if God is all around us ! Beautiful! 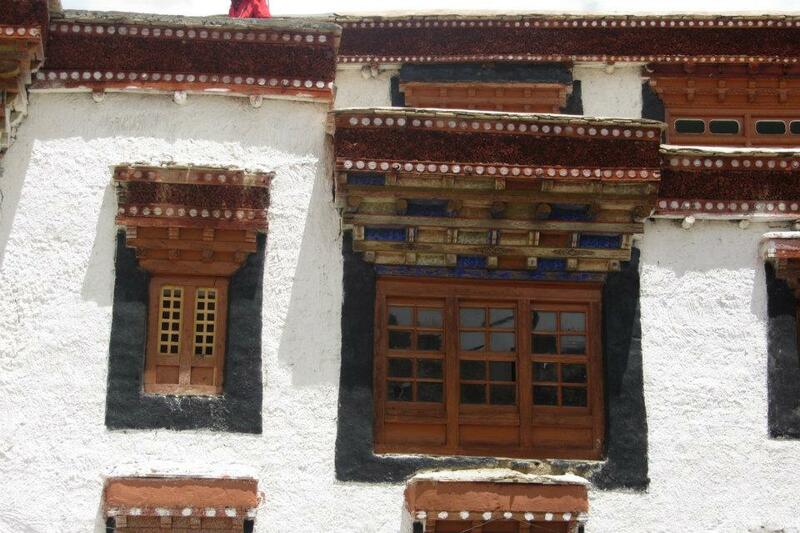 I have only seen the monasteries in Sikkim, which were also similarly lovely! I am sure they are ! Beautiful pictures. 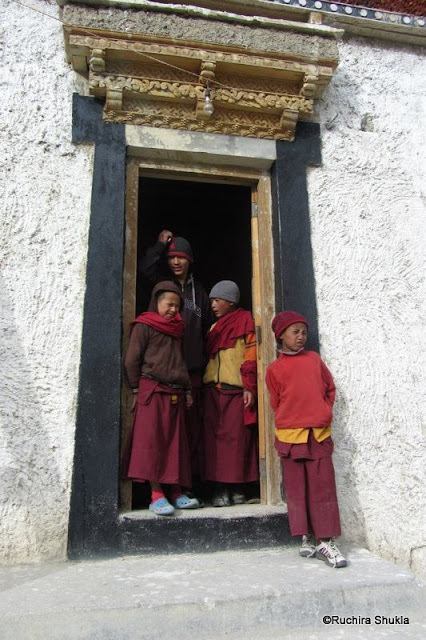 I would love to visit Ladakh - I've never been to a monastery. Thanks so much for sharing your visit. Ladakh is an enchanting place ! do visit ! Ruchira, I love the stories of your travel. You shoot them beautifully and word them better. Chuck your job and become a travel writer. The world needs you! BTW fav pic is the rivers meeting and the green landscape.....loved it. Note to self :Must visit Ladakh..............soon! Thank you my dear ! Working on it ! Go go gog !! Travel is the best experience ! Thanks for giving the glimpse of these monasteries in ladakh. 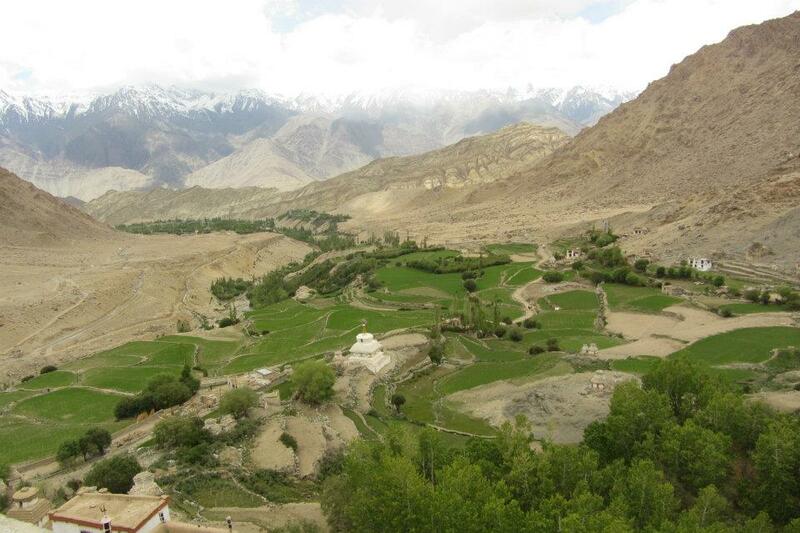 Its strange to think of ladakh as a barren land !! The journey for sure wud be tough. Would love to go there ONE DAY. It is a bit tough but so worth it ! They are so wonderfully beautiful and soothing. Ruchira, I have always been fascinated by monasteries, even though I've never actually been to one. And now I know why. Your pictures and the accompanying story are so telling, I feel as if I travelled with you. Why are monasteries so beautiful? Must be the solitude and the prayer. I am sure it is the solitude and prayer ! 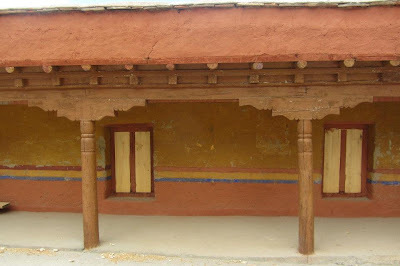 My ancestry is from Himachal, so I have seen some part of it. Ladakh is still a dream, which this post is pushing towards reality! Ladakh is worth a visit. But then Himachal is so beautiful ! This post is so pretty!!! Serene, rustic mountains, beautiful scenic textures all around!...Wonderful!!! Thanks for taking us through a wonderful visit! ..i am from this part of the world..and you have beautifully captured my homeland...'Ladakh '..
..Ladakh is every photographer's delight..the rustic terrain..the rickety Gompas..the meandering rivers..the scattered villages..the grazing cattle..and the thin parches of green..adds to its charm..
..it is the only place in the world where you can enjoy your solitude..a perfect retreat far away from the cosmetic and chaotic city life..
You coem from an enchanting land Rigzin ! 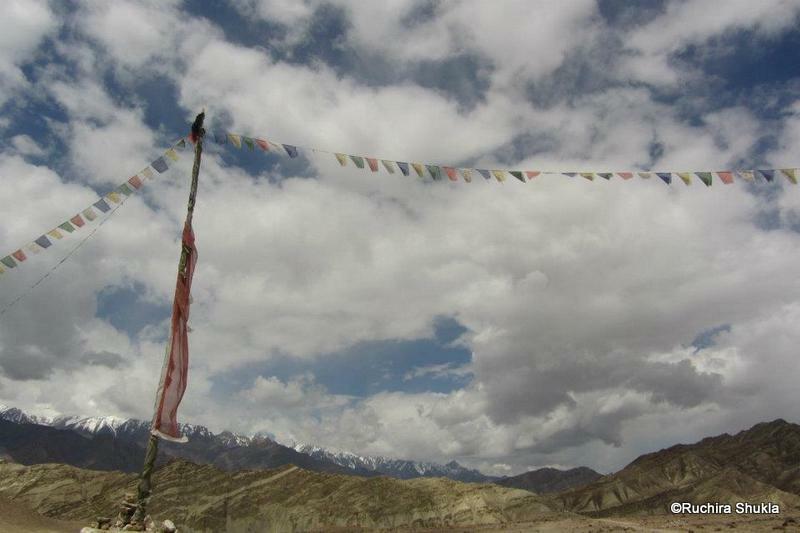 Ladakh is indeed beautiful. I would love to go back again and again and again ! Really what are you studying ! I so envy you. Thanks for the grand tour...lovely pictures. Your pics are out of the world! I really had a time travel and felt calm looking at them. Love the mountains so much! Love monasteries myself. 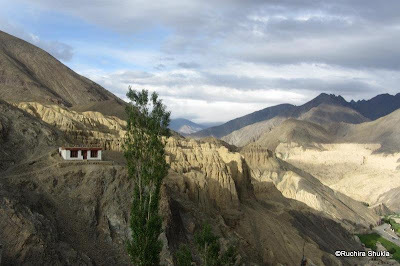 Having visited only one (the Coorg one), been itching to visit Ladakh for long now. Beautiful photos, loved this one. Am partial to monasteries too, haven't visited many, but on my to-do list! Thanks for sharing these gems. 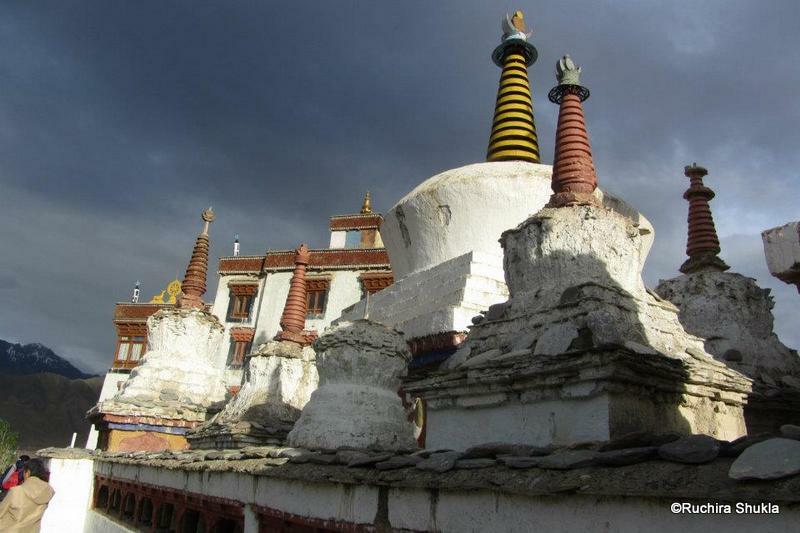 I remember reading a book on these monasteries but your pics are breath taking!